NEW! 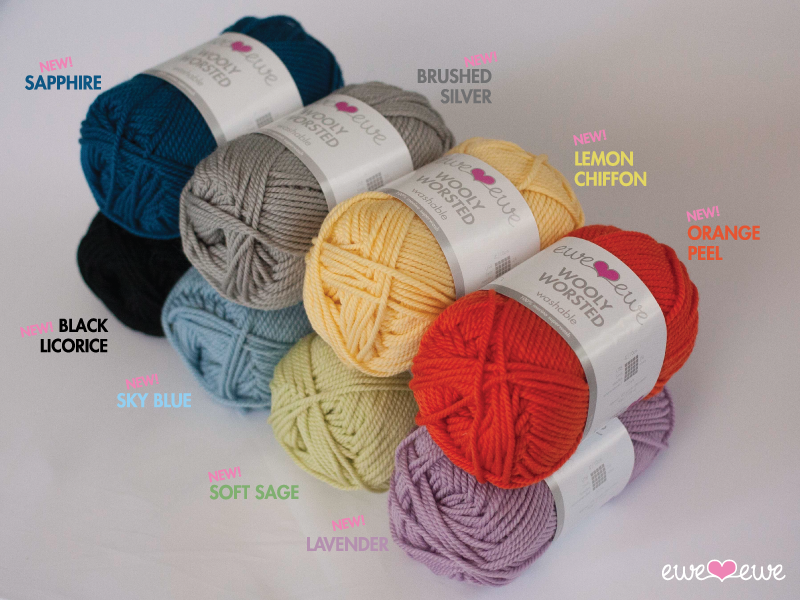 Wooly Worsted Adds 8 Yarn Colors! Ewe Ewe is up to 20 beautiful colors of Wooly Worsted merino wool yarn! The "Great Eight" as we like to call them are just as fun and saturated as the shades you've come to love. Check them out! How cute are they? So cute! I think Orange Peel might be my favorite... or maybe Sky Blue. But wait, I love Black Licorice! Who doesn't love a nice dark black! Oh geez, so many things to knit. I can't wait to get them cast on and knitting with all the other colors of Wooly Worsted yarn. Click here to read more about Wooly Worsted yarn.